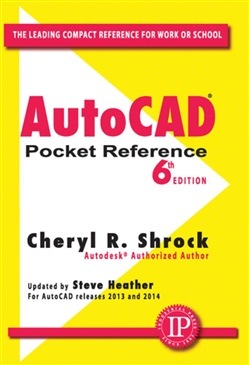 Handy, Invaluable AutoCAD Pocket ReferenceThe AutoCAD Pocket Reference, Sixth Edition, at 350 pages in softcover, is indispensable and handy. Authors Cheryl R. Schrock's and Steve Heather'sAutoCAD series at Industrial Press is on our top seller's list for good reason. Use the About the Author link, above, for more. In the AutoCAD Pocket Reference, the authors provide easy access to the important fundamental commands, concepts, and "how to" information for everyday use. The book is divided into 12 categories (use the TOC button, above, to view). It's like an expert's cheat sheet, but much better. AutoCAD Pocket Reference is ideal for practitioners in the field. And it is perfect for students, teachers, and AutoCAD users on the go. The reference provides a quick and easy refresh -- occasional or everyday -- on the use of AutoCAD commands. 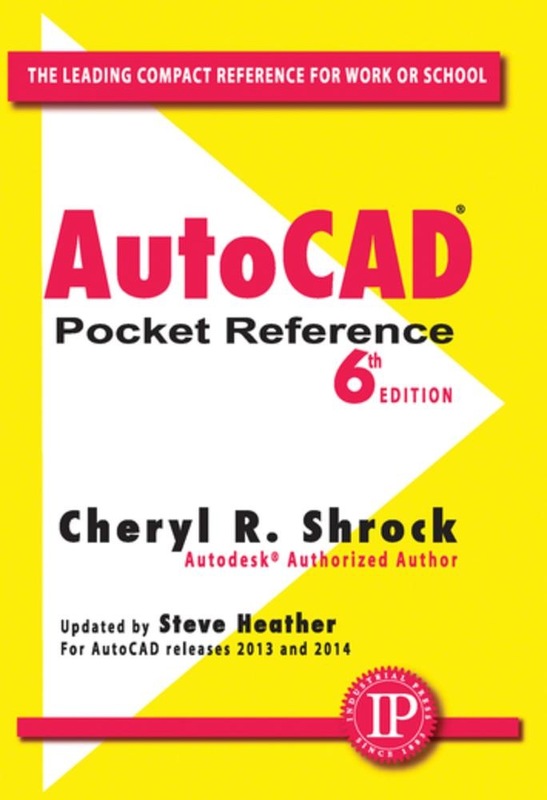 This pocket reference does not substitute for either introductory or advanced AutoCAD textbooks. Its job is to bring comfort as a ready reference. Place a copy by your AutoCAD workstation. And be sure to keep a copy with your laptop, To learn AutoCAD quickly and easily, you'll want to obtain IP's Beginning AutoCAD 2014 Exercise Workbook. More experienced users should selectAdvanced AutoCAD 2014 Exercise Workbook. Both are by the same authors. Also available are Shrock's exercise workbooks for prior versions of AutoCAD. See all of IP's choices here.